AP Custom shotshell carriers are 100% machined from solid billet aluminum. Our shotshell carriers utilize our proven 303 Hi-Yield Stainless steel leaf springs to provide excellent shell retention, yet also provide for a silky smooth grab. All our shotshell carriers are drilled and tapped to accept the most popular belt attachment methods in the industry - the Blade-Tech Tek-Lok, Safariland ELS, or Blade-Tech MOLLE attachments. AP Custom shotshell caddies are 100% machined from solid billet aluminum. Our shotshell caddies utilize our proven 303 Hi-Yield Stainless steel leaf springs to contain either three or four 2 3/4 in. 12 ga. shells in their slots, depending on model. The 303 springs provide excellent retention, yet also provide for a silky smooth grab. All our shotshell caddies are drilled and tapped to accept the most popular belt attachment methods in the industry - the Blade-Tech Tek-Lok, Safariland ELS, or Blade-Tech MOLLE attachments. The 4x4s and 3x3s are the most efficient use of belt real estate on the market. 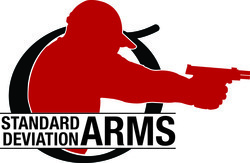 They have become hugely popular in the sport of 3-Gun Practical Shotgun Competition, since their introduction. They are well suited for either strong or weak-hand loading, and are extremely robust. You would be hard pressed to attend a 3-Gun match anywhere in the nation where AP Custom shotshell caddies were not in use by several competitors. This is not to say that our shell caddies are just for competition, as they are also in the hands of military and law enforcement personnel around the world.